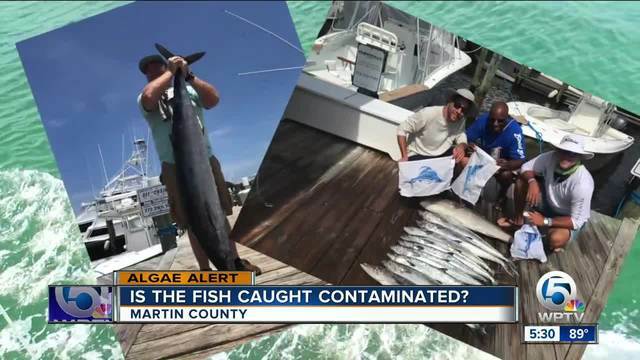 At Sailfish Marina in Martin County, some fishermen have a message. "Great conditions and a lot of to offer," said Glenn Cameron with Floridian Sport Fishing. He took WPTV reporter Alex Hagan out Thursday to show us what he's talking about. "Still no algae," as we passed the Indian River Lagoon. "As you get more into the salt water and the tide carries it away rapidly." 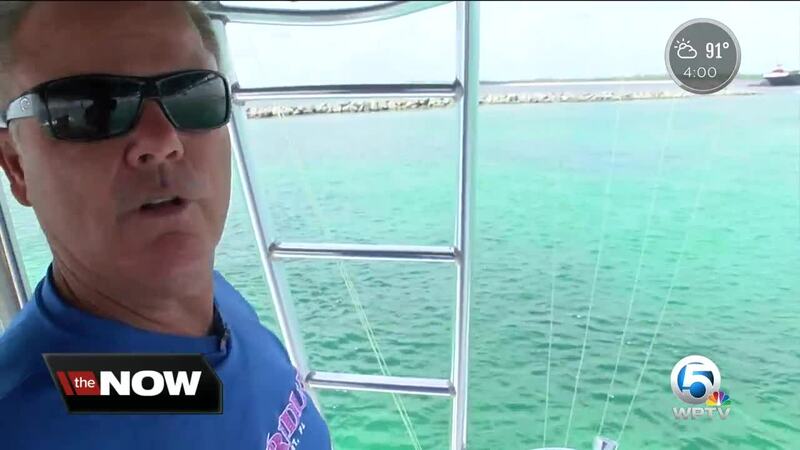 He also took WPTV off-shore to check out the water conditions. "See the bottom perfect," said Cameron. This is where he does all his fishing. He says he catches plenty of snooks, tarpon and snapper. "The fish that the offshore fishing boats are fishing for don't traverse," said Cameron. He agrees there's a problem with the water in the river, but not off-shore. "Just like to see people come out and join us and experience it right now," said Capt. Darrin Cobb. "We have a big problem with algae. I guess what I really want to show everybody is that algae are not widespread out here in the salt water, but it is clean and it's safe and it's beautiful," said Cameron. A Department of Health Spokesperson says do not fish where there are visible blooms. Also if you catch a fish off-shore, make sure you check for lesions and that the fish appears healthy. "We continue to promote all of the great things to do in Martin County that have not been impacted by water conditions. The well-being of our businesses is of utmost concern. This year is a different scenario than what we experienced in 2016. To date, our beaches have not been affected by algae and other areas and businesses remain open and ready to welcome residents and visitors. Our website, Protect our Paradise, includes links to DEP, DOH, and other agencies. This page also has an informative Q&A section to help visitors understand conditions when they are in their trip planning phase. In 2016 we had an active photo contest. This year we have created a “here and now” social media campaign. We are only utilizing user-generated content taken within a four-day span. It showcases residents and visitors enjoying Martin County here and now. In the months leading up the emergency declaration, we were actively working with Visit Florida to promote our area. They have provided tremendous support and helped us better understand consumer sentiment. We continue to partner with them in looking for innovative ways to promote our area and support local economy."